Well, we have been hard at it preparing for 2 upcoming events/expeditions that I think everyone will be very excited about. First is CanadaONExONE this May. 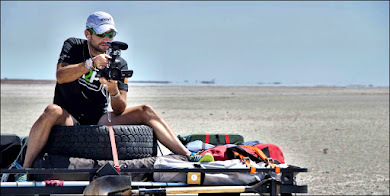 I will attempt to run an ultra distance (80 kms) per day in each and every Province and Territory ! 13 days of running in our incredible country ! Many details about this will follow- and expect the CanadaONExONE website to launch very soon, with links from my website www.rayzahab.com. This run will be in support of the incredible work the ONExONE organization (Canadian born) is doing at home and abroad, and will be a celebration of our amazing country !!! Many people from across the country will run with me... I hope you can join me too ! As I said, more details to follow very soon ! I am writing this edition of my newsletter from one of the most incredible places in the world- Iqaluit, Nunavut. I am here meeting with all kinds of amazing people about the upcoming 2009 PolarRun (details on my website). The purpose of my visit here is to meet with the Premiere of Nunavut - Paul Okalik, Commissioner Ann Meekitjuk Hanson, Miali-Elise Coley (Premieres Office) and other Educators, Community Leaders, and local people to learn and gain a greater knowledge of this beautiful culture and people of the North. I as well had the great fortune of running (no pun ) into Will Steger and his team as they prepare for their epic expedition to dogsled Ellsmere Island. His team was very gracious and I spent an evening with them talking about their project, our expedition...and of course stories of Sahara and other adventures !!! For those of you who may not know the name, Will is one of the greatest adventurers of our time, and has many firsts to his credit. 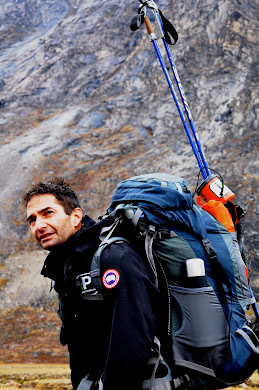 Our expedition expert Richard Weber- another legend- is friends with Will, and speaks very highly of him. I got out for a training run today, it was - 38 ...I better get used to it ! 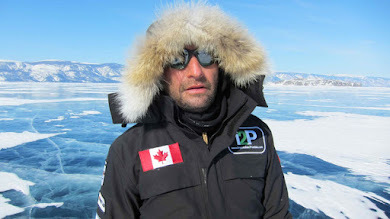 785 kms from Ward Hunt to the Geographic North Pole in temps down below - 60, navigating open leads of water...climbing walls pressure ice, and being wary of polar bears... Yikes ! 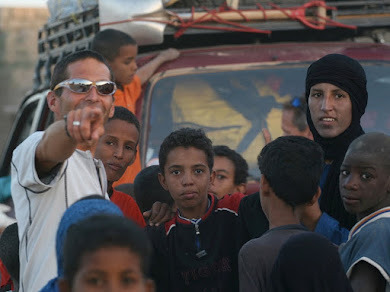 I have been traveling lots these days, speaking alot about our run across the Sahara- and the water crisis in northern Africa, as well as raising interest for the Global Education Initiative my team and I want to create in conjunction with the PolarRun. Our goal is to "Inspire young people around the world to protect and appreciate the planet- and the many diverse cultures on it". This educational resource will be downloadable from our website, and we want to make it available to kids around the world- teaching them about the social impact globally of the changing climate. To this end, my team and I are creating an organization that will support and drive this mission!!! My next newsletter will focus on this, and CanadaONExONE Run. 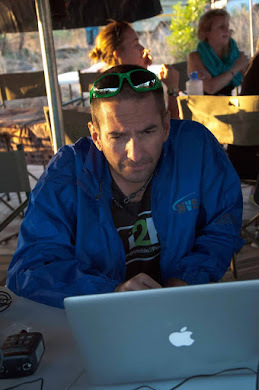 I will write again soon...please keep checking my website for updates on these projects, for news on the release of Running The Sahara and please visit and support the organizations from the "Difference" tab on my website.